Free workshop for volunteers preparing to create the Steck Ave. Bridge Mosaic! Sign up now — space is limited to 8 more people! 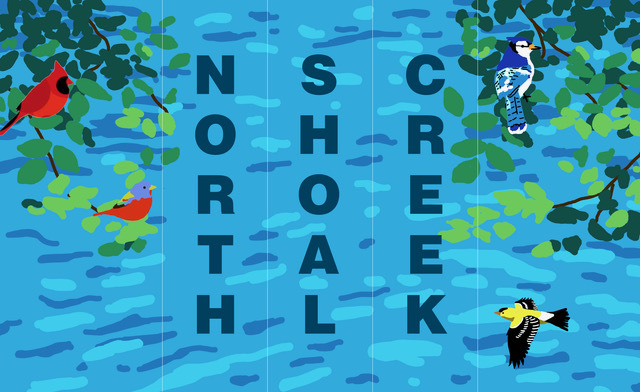 The Austin Community Tree program is looking for volunteers to help with a block walk on Saturday, September 29 to reach residents in Austin’s North Shoal Creek neighborhood. We will meet at 8 am. Make sure to bring a hat, sunscreen, and water. We’re about a week away! 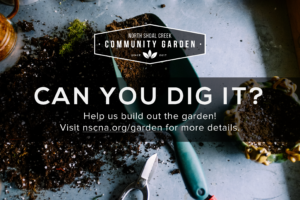 Reminder — the NSC Community Garden Ribbon Cutting Ceremony will take place next Saturday, April 14th at the NSC Community Garden at the corner of the Pillow Elementary School Campus on Crosscreek and Flagstone. Please bring $15 cash if you’re interested in purchasing a custom community garden t-shirt! 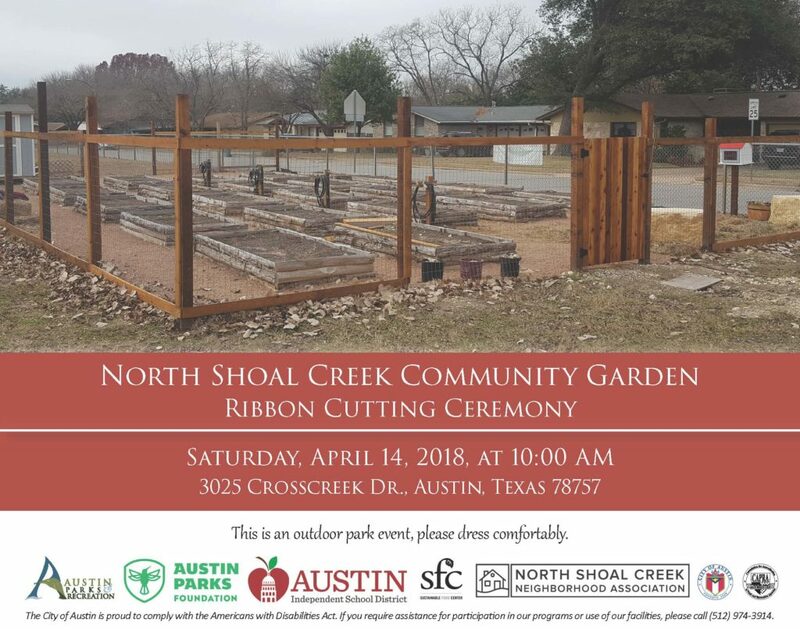 You are all invited to the inauguration of our new North Shoal Creek Community Garden at 10 a.m. Saturday, April 14, northwest corner of the Pillow campus. Please come and celebrate! 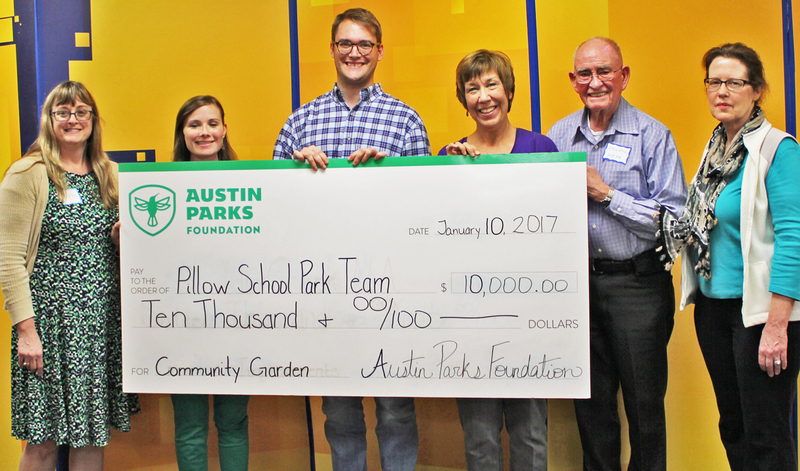 October-March is tree planting season in Austin. 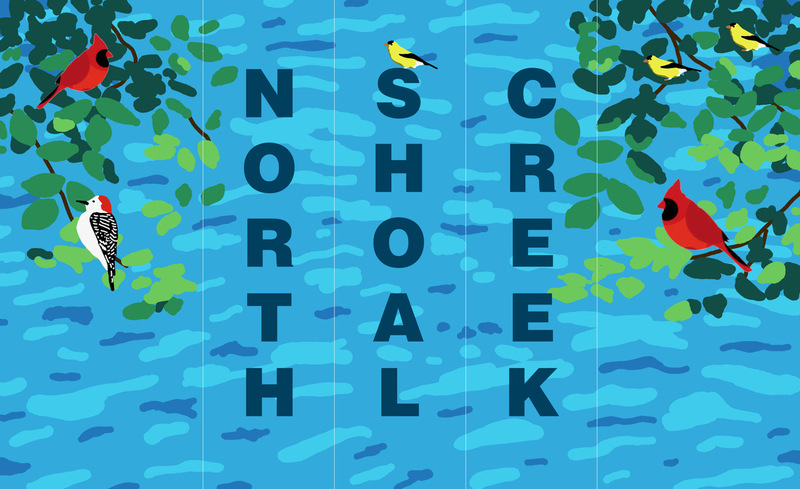 While North Shoal Creek’s residential core has a pretty good tree canopy, overall our neighborhood needs more trees. If your yard can use one or more trees, you can probably get free ones from TreeFolks, a local non-profit that partners with the City of Austin to encourage tree planting and care. Sign up for their Tree Delivery service. There’s a new project afoot our neighborhood needs to get involved in. It’s the Shoal Creek Trail Project, sponsored by the Shoal Creek Conservancy. If/When it’s successfully completed, the trail will include our neighborhood. We received this invite to a series of meetings about the project; please go if you can! WE NEED YOUR HELP DIGGING IT! The plan is to start a compost pile and begin putting in a drip irrigation system. Of course, we’ll also do some digging. To volunteer, just email Sarah Brandon at gardenchair [at] nscna [dot] org and tell her you’ll be there. Austin Parks Foundation (APF) Programs Assistant John Rooney (center) presents APF’s $10,000 grant for a North Shoal Creek Neighborhood Community Garden during the Association’s January 10th membership meeting. Receiving the grant are Community Garden team members (left to right): Katie Kelly, NSCNA VP Sarah Brandon, NSCNA President Amelia Cobb, Kenneth Webb, and Beautification Committee Chair Mary Jane Wier.